“You fantastic fish, you!” Well, actually shrimp but still fantastic! These enchiladas were definitely fantastic. 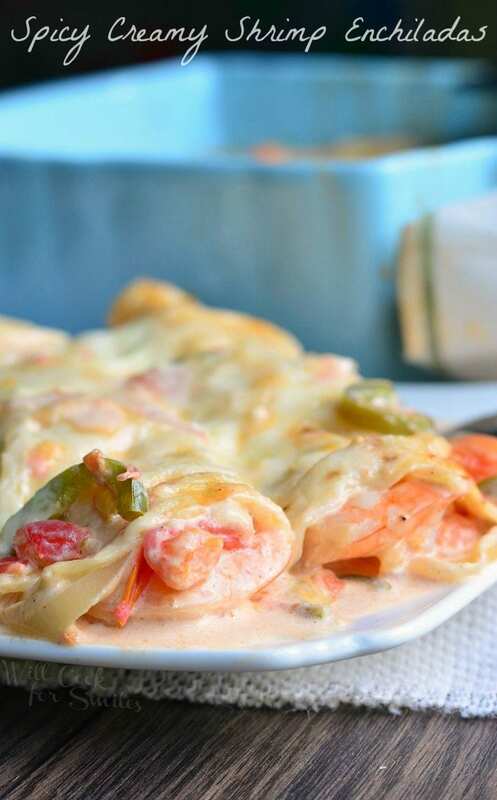 All that gooey, melted cheese inside with shrimp, onions, tomatoes and jalapenos, wrapped in a cream sauce soaked tortilla…ah, perfection! Best part is that you can adjust the heat to your liking. You can add more cayenne pepper (just be careful with how much you add) and add an extra jalapeno if you’d like a spicier dish. Add shrimp and cook, still over medium heat, until shrimp is almost done. Add some cheese in the center of each tortilla. Using slotted spoon, scoop out about a quarter of shrimp/veggie mixture, draining most of the sauce, into the tortilla. Roll tortilla and place it in the baking dish, seam down. Repeat with remaining tortillas, shrimp and veggies. 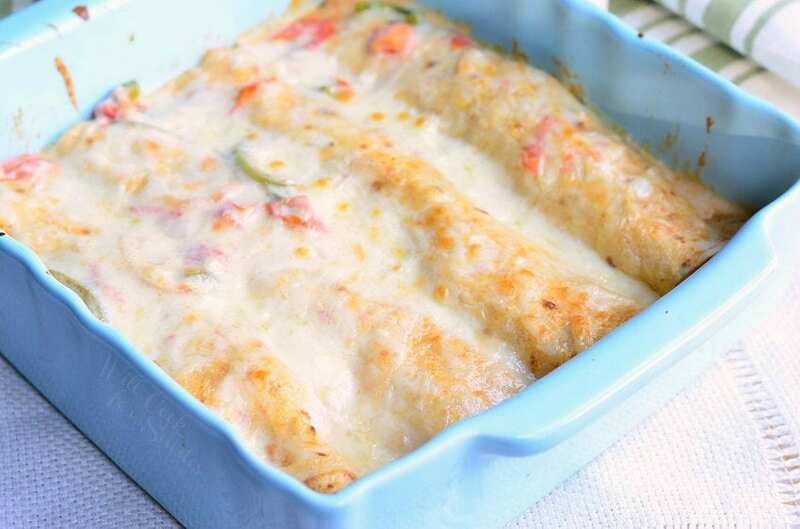 Pour sauce over enchiladas and spread remaining cheese on top.